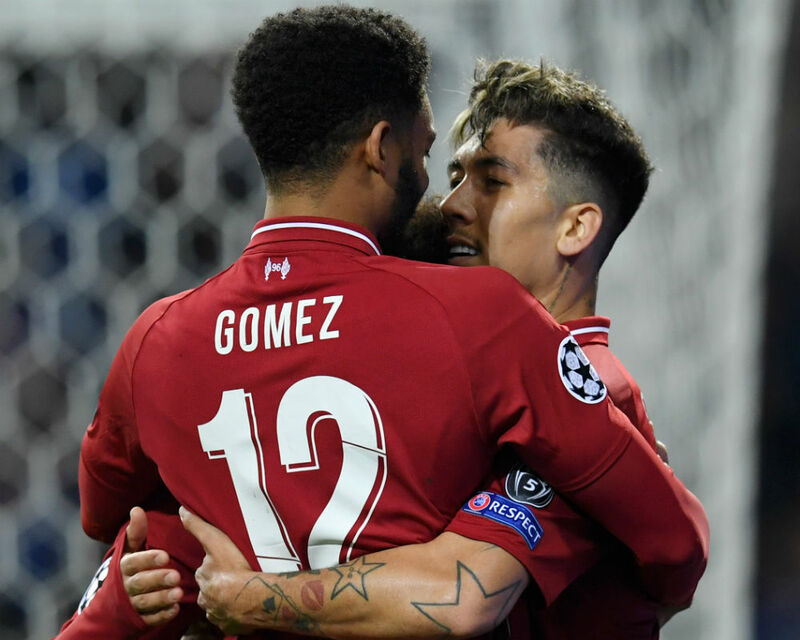 The Reds came through the midweek Champions League win at FC Porto, which Lovren missed due to illness, without sustaining any fresh injuries. 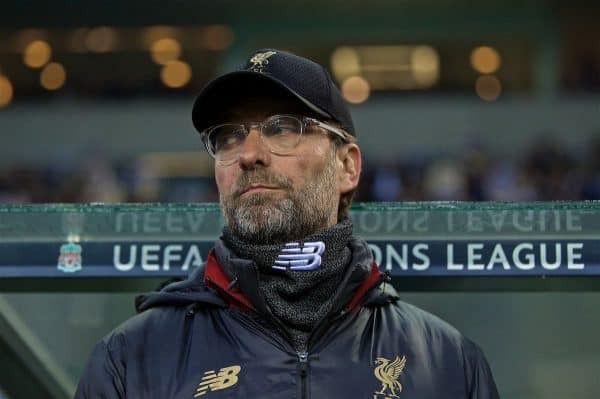 “Always after games a few players have slight, little problems but nothing really serious – so it should be OK, [they] should all be in,” said Jürgen Klopp at his pre-match press conference. In addition to the 4-1 victory that wrapped up a 6-1 aggregate result against Porto, the Reds were buoyed by the return to action of Joe Gomez. The No.12 played 24 minutes at Estadio do Dragao in his first senior appearance since suffering a lower leg fracture at Burnley in early December. Asked if Gomez is in line for a start this weekend, Klopp replied: “We will see; we have a lot of players with a lot of rhythm, which is good, but it’s good to have him. It’s very important. “It’s the same for Ox, it’s not about being ready and you come in immediately, because as long as the other players show no drop in form in training, we came [to this point] like this. 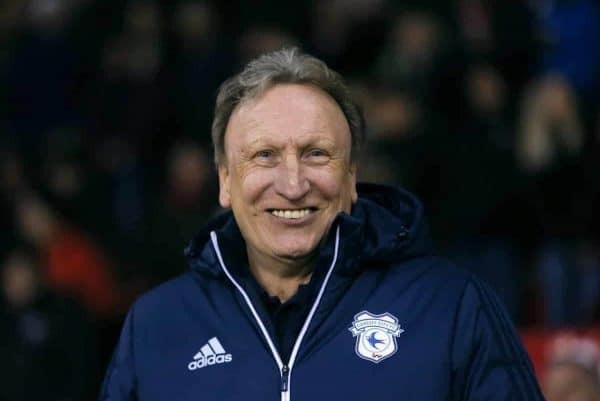 Cardiff manager Neil Warnock, meanwhile, doesn’t expect midfielder Harry Arter to recover from a calf injury in time to play against the Reds. “I wouldn’t have thought so. He’s touch and go for Fulham, that’s what the physio told me,” said the Bluebirds boss, who also told the media that Aron Gunnarsson has suffered with a back spasm this week. Callum Paterson (ankle), who scored Cardiff’s goal in their 4-1 defeat at Anfield in October, and Sol Bamba (knee) are long-term absentees. On the test awaiting his side on Sunday, Warnock stated: “We realise the challenge but it’s an amazing game. Everyone’s talking about it so the atmosphere will be fabulous. Cardiff defender Lee Peltier played four games for Liverpool during the 2006-07 season, all in cup competitions. Brighton and Hove Albion 0-2 Cardiff City (April 16): Etheridge, Peltier, Morrison, Manga, Bennett, Gunnarsson, Ralls, Camarasa, Mendez-Laing, Hoilett, Niasse. 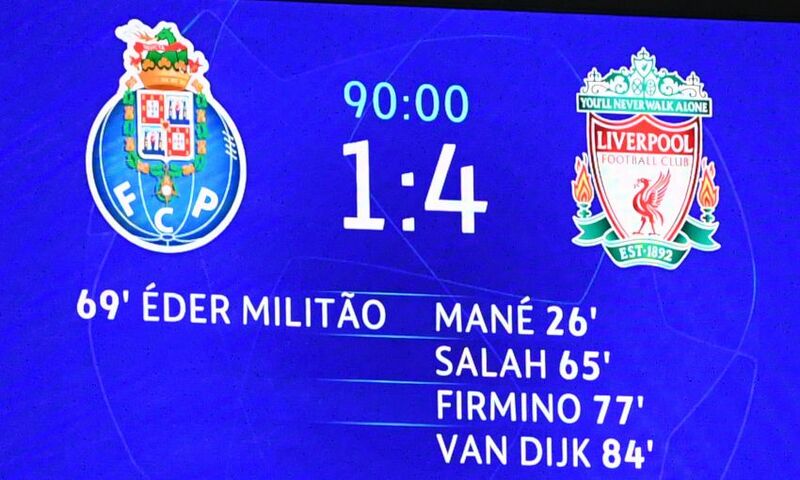 FC Porto 1-4 Liverpool (April 17): Alisson, Alexander-Arnold, Matip, Van Dijk, Robertson, Fabinho, Milner, Wijnaldum, Mane, Salah, Origi. 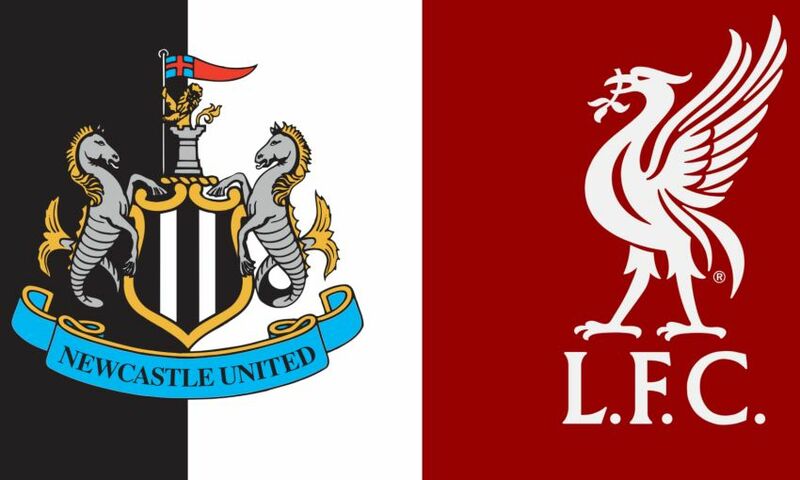 Liverpool's Premier League fixture away to Newcastle United has been rescheduled for Saturday May 4. The switch comes after the two legs of Liverpool’s Champions League semi-final against FC Barcelona were scheduled for Wednesday May 1 and Tuesday May 7 respectively. See the best of Liverpool's training session on Friday with our exclusive footage - featuring rondos and goals from a sun-kissed Melwood. The Reds are in preparation for a trip to Cardiff City and continued to warm up for Sunday's match with a workout amid perfect conditions in West Derby. The LFCTV GO cameras captured highlights of the players' passing routines and a small-sided match - and subscribers can take a look in the compilation above. Not yet signed up? Click here for more information about joining LFCTV GO now. Liverpool can't stand still if they are to turn their progress under Jürgen Klopp into the trophy success they crave, insists the manager. As Klopp’s fourth season as Reds boss nears a conclusion, his side are locked in a Premier League title race with Manchester City and have a Champions League semi-final against FC Barcelona next month to look forward to. Three cup finals have preceded this outstanding campaign, of course, but silverware has to date eluded the German at Anfield. Which explains why, despite his satisfaction with the results of the current season, Klopp knows Liverpool have not yet reached their final destination of development. “A lot of people reminded me that when I first came here I signed a three-year contract and I said in four years if we’re sat here we probably would have won something. It didn’t happen yet,” he said. “Both sides – the club and myself – have a wonderful commitment that we really try everything to make the club as successful as possible. How long it will take, I have no clue. The position we are now in I am really happy with. 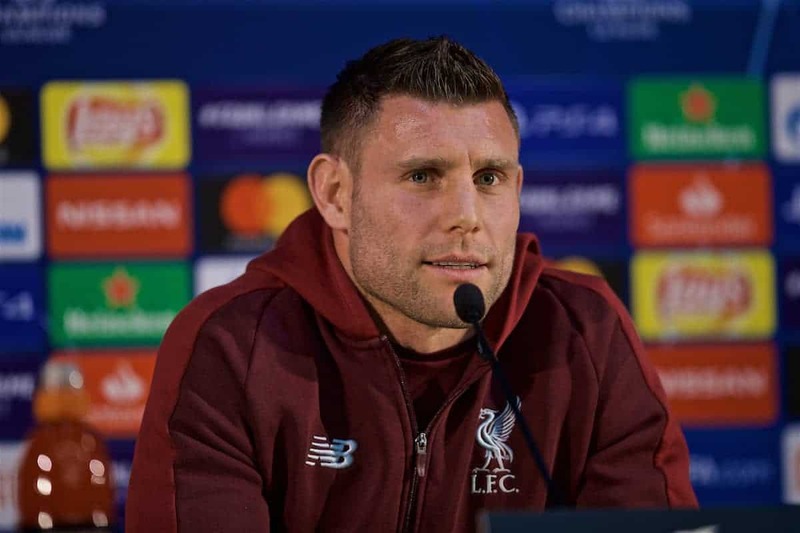 “Not that it is the final position where we want to be, but the awareness from outside of the club, where we are, second time in the Champions League semi-final – that is really special. “So many teams tried this year again and it did not happen for different reasons. Of course you need luck in some moments. We needed it. Before the Napoli home game, who would have thought we would be in the semis again? 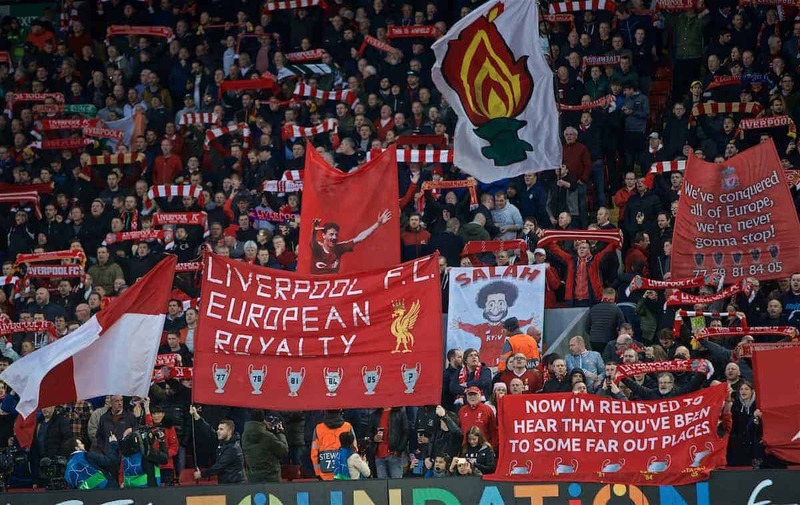 After completing their Champions League quarter-final job in Porto earlier this week, Liverpool next journey to Cardiff City in the Premier League on Sunday. Just as they did last year, the Reds are juggling domestic and European targets simultaneously – though Klopp considers this season’s scenario ‘more positive’. But he also knows his side cannot let up when they face a Cardiff outfit battling to avoid relegation. “We still don’t feel the pressure. We see and feel it as an opportunity,” said the boss. “We have these unbelievably strong opponents. We have to win all our games, which is difficult enough, and on the other side our opponent is Man City. That makes life not easy. In the Champions League the situation is the same, we play Barcelona. “There are not a lot of stronger teams in the world out there so how can we think we are halfway through? We are in it. That’s it. And if you are in it, you can win it and that is what we try. “That is how we see it for a long time. I do not see a massive difference in this situation except it is a more positive fight to last year, fighting for the Champions League [qualification places] is real pressure because it changes a lot if you are in or not. 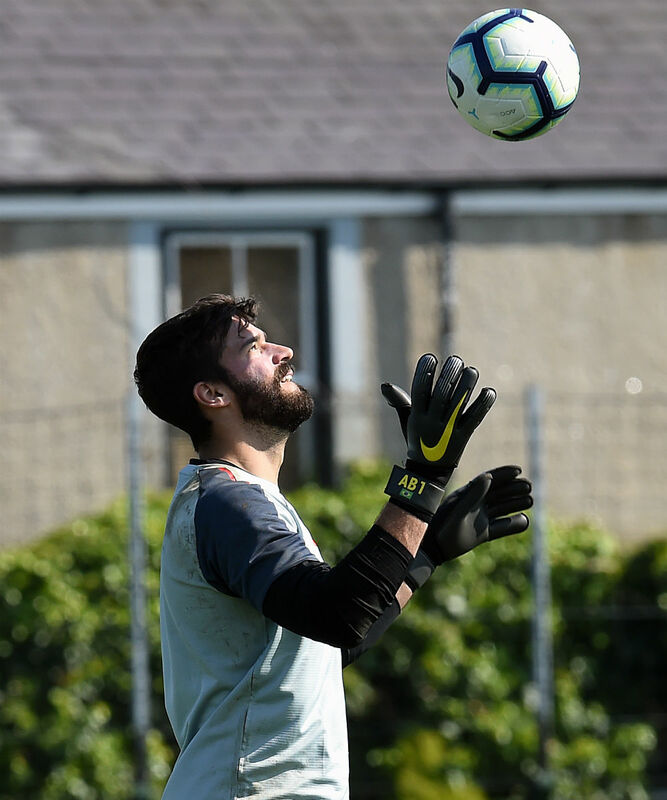 A need for perfection means there is no chance of Alisson Becker’s immediate focus being trained anywhere other than Cardiff City. 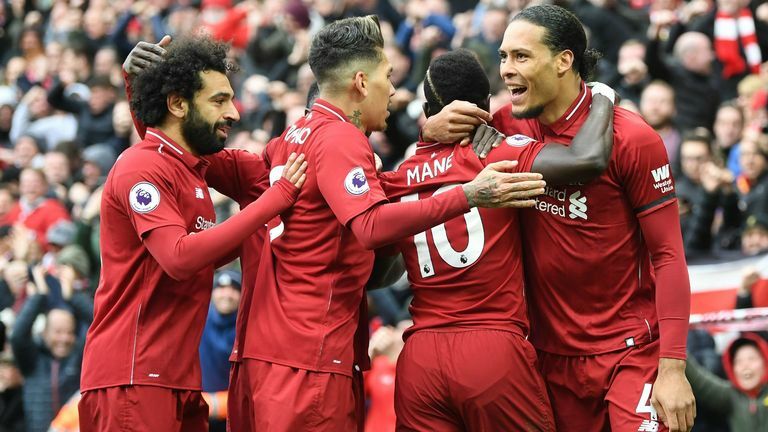 Liverpool visit the Welsh capital on Sunday for their fourth-last league game of a season in which domestic and European glory remain possible. 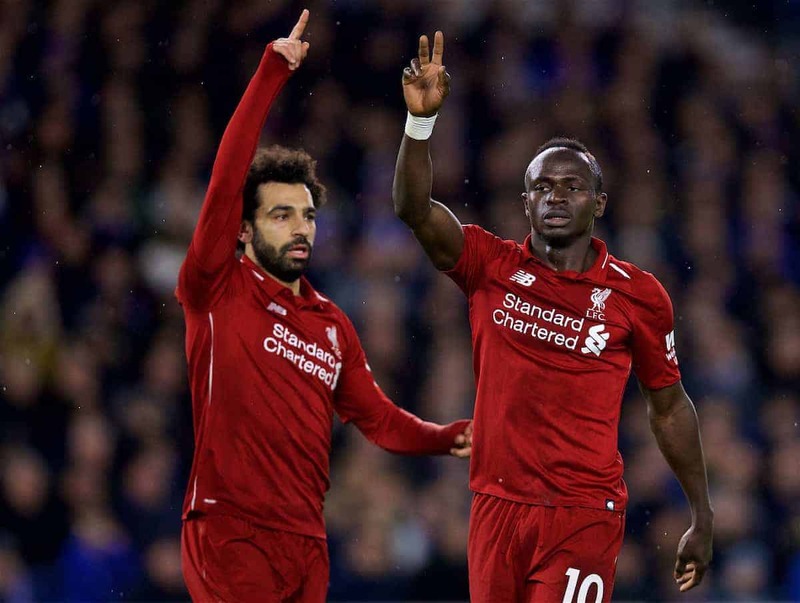 Victory over the Bluebirds would make sure the Reds end the weekend top of the Premier League, while their Champions League journey continued apace with an impressive 4-1 quarter-final second leg win at FC Porto on Wednesday. The reward for a 6-1 aggregate success over the Portuguese champions is, of course, a mouth-watering last-four tie with FC Barcelona, the first leg of which takes place at Camp Nou on May 1. Alisson, though, is looking no further ahead than the ‘great challenge’ of attempting to beat Cardiff - an outcome that would go some way to satisfying the goalkeeper’s desire for a flawless finish to the campaign. 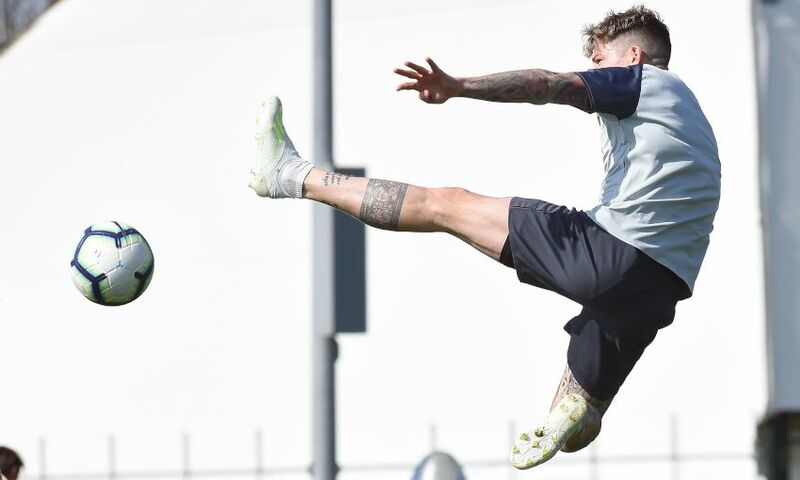 Understandably there’s a lot of excitement around the club about the upcoming matches against Barcelona, but is the focus in the dressing room now solely back on the Premier League and Cardiff? The victory at Porto was Liverpool’s eighth successive win in all competitions. What’s been the key to finding such a high level of consistency at the most important stage of the season? Every game, whether it’s in the Premier League or Champions League, is hugely significant now, but you and your teammates seem to be thriving under that pressure? Next up are Cardiff. They’re battling to avoid relegation and got a crucial win over Brighton and Hove Albion in midweek, so are you expecting them to be fired up on Sunday? 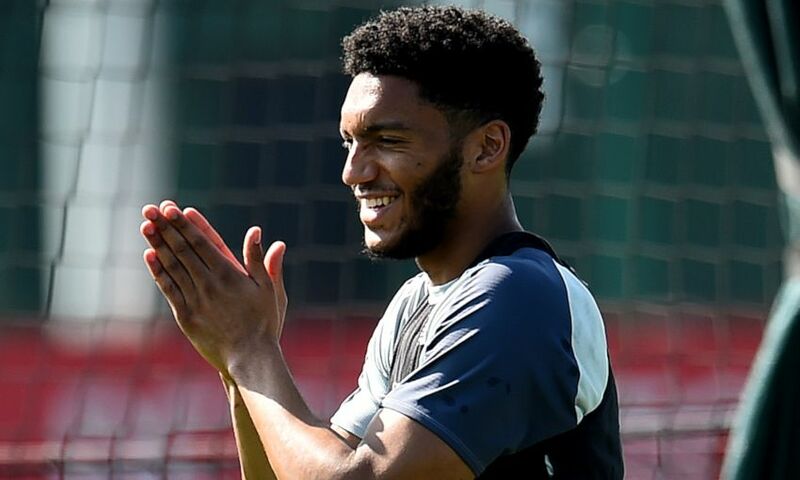 Joe Gomez made his first senior appearance since early December when he came off the bench versus Porto. How much of a boost is it to have him back? Finally, your Roma team defeated Barcelona in incredible circumstances in last season's Champions League. Is there anything you learned from those games that you can pass on to your current teammates? 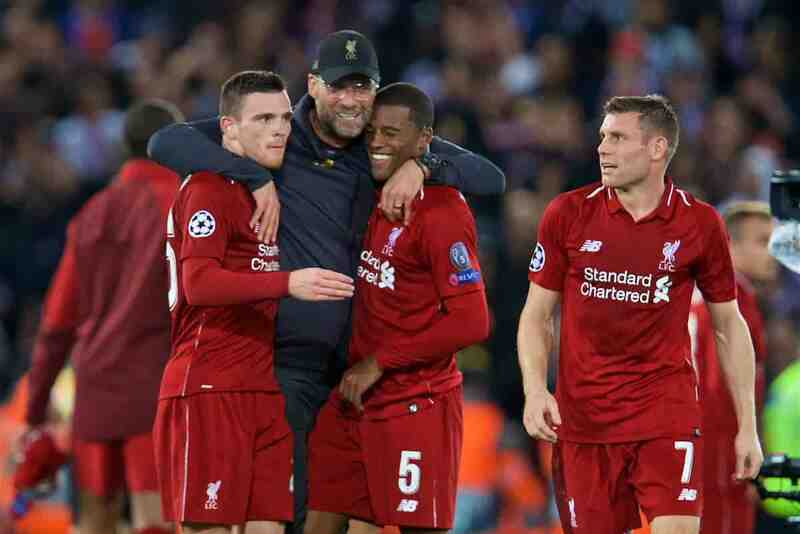 After Liverpool once more took their place among the game’s elite in Europe, Chris McLoughlin looks at how far the Reds have come under Jurgen Klopp. Playground bragging, perhaps, but when you’ve not won the league for years, maybe—subconsciously anyway—it feels a little ridiculous to make such proclamations, hence the lack of airing it now gets. 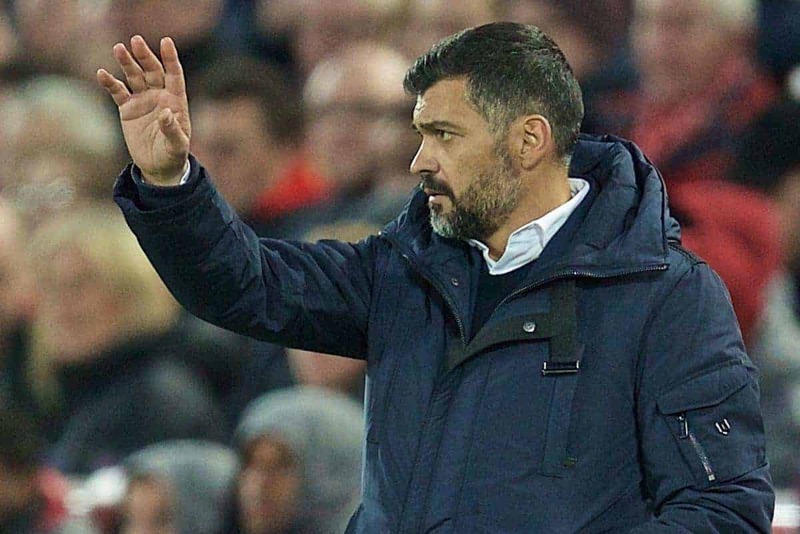 However, that didn’t stop FC Porto boss Sergio Conceicao from doing his own Portuguese version of it before Wednesday’s Champions League game. “I like the Liverpool dynamics,” he said. “I like the Liverpool game model. I like the way they play and the way they are with the ball and also without it. And yours is the best team associated with dragons, after Daenerys Targaryan’s Dothraki Rovers. And Wales, when Ben Woodburn is on fire. Conceicao, of course, was trying a bit of reverse psychology: attempting to butter the Liverpool players up to become complacent, allowing Porto to do a Red Star Belgrade and record a shock home win. 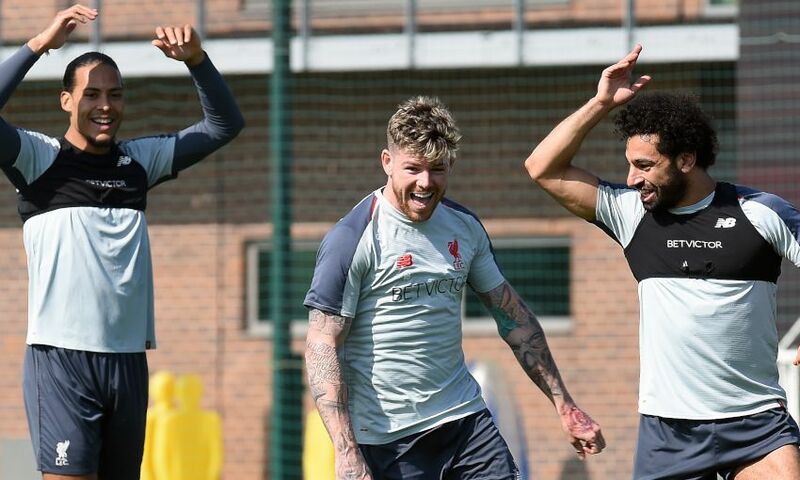 Unfortunately for him, Jurgen Klopp and James Milner saw through his plan like a transparent mannequin wet t-shirt shirt competition in the Isla Gladstone Conservatory. 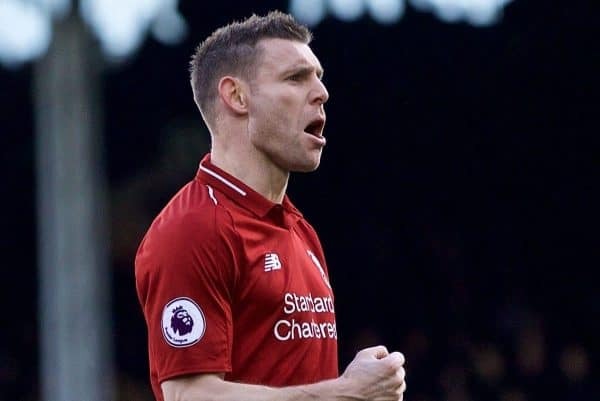 Like it or not, Milner is right. 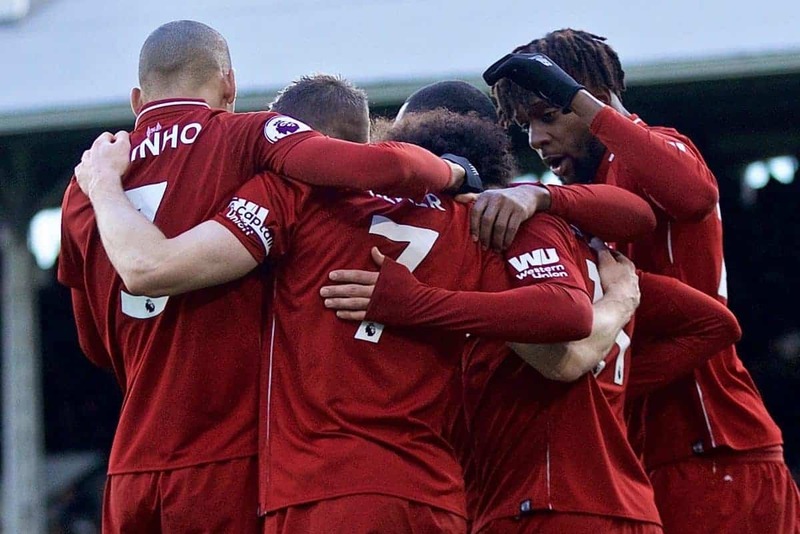 History will judge this Liverpool side by the silverware it does or doesn’t win, but the fact that Klopp has put Liverpool into a position where, going into late April, we could genuinely win both the Premier League and the Champions League, is being underrated by those who only count silver pots come May. Liverpool weren’t even in Europe in 2016/17. The Reds finished the previous season in eighth on 60 points (behind Southampton and West Ham!) and lost the Europa League final to Sevilla. Klopp rotated his line-up ahead of that final for the last Premier League game of the season at West Brom. 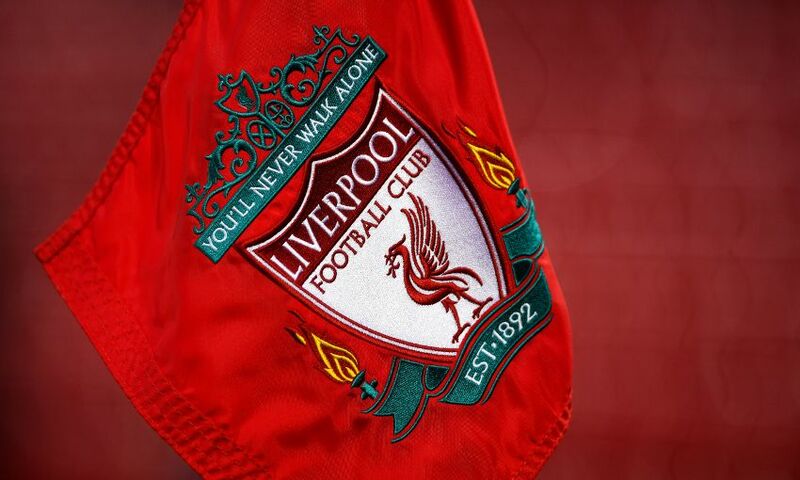 The starting XI was: Bogdan, Flanagan, Smith, Skrtel, Lucas, Allen, Stewart, Brannagan, Ibe, Ojo, Benteke. That was less than three years ago. Less. Than. Three. Years. Ago. Now, thanks to the manager giving our team and club an identity again, and the owners finally realising that if they gave the right man the right money to get the right players he needed they could be onto a winner, we’ve got a team that has got a helluva chance of winning a domestic and European double. We’re in a Champions League semi-final for the second consecutive season—something no English club has done for a decade—and we have 85 points with four games to play. The best Liverpool team I ever saw, Kenny Dalglish’s class of 1987/88, got 90 and that was after 40 games. 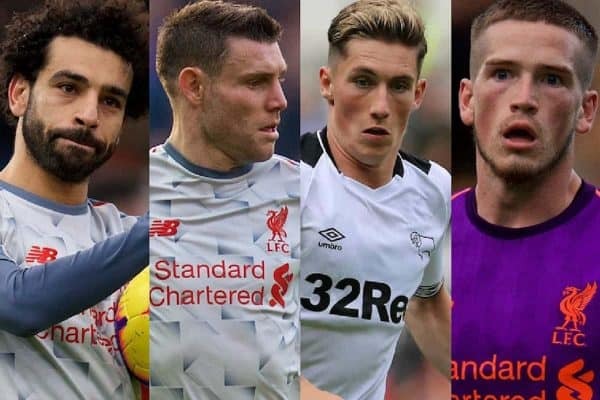 The big question now is, can this talented bunch of young players—who are only making their first Premier League title challenge, not their last—add a trophy or two to justifiably reflect what a fantastic team they are? We need a favour. We need Spurs, Ole at the wheel of fortune, Burnley, Brendan or Brighton to take points off Man City, who must be feeling right now like they’d pulled a stunner in Thailand on Wednesday night, only to get a huge shock when they got in closer for a second look. If none of them do, City are champions. But…just say they do. The most important thing of all for Liverpool now is to keep their own momentum going, to keep winning in both competitions. Cardiff away. Get three points. Huddersfield at home. Get three points. Barcelona away. Maintain our unbeaten Camp Nou recored and get an away goal or two while we’re at it. Then, and only then, can we take stock ahead of the last week of the Premier League season and assess just how tumultuous this 2018/19 campaign could actually be. And, if Liverpool win both competitions—clocking up a club-record league points tally and a British record-extending sixth European Cup along the way—then I’ll be thinking of Sergio Conceicao during the celebrations. Chris McLoughlin writes for This Is Anfield each week; he’s also senior writer for the Official LFC Matchday Programme and LFC Magazine. You can order the Porto programme (if you missed it) here. The Reds are through to a glamorous Champions League semi-final against Barca but though the two Premier League games that come before it do not stir the imagination in quite the same way, every point is vital to Liverpool in the title race with Manchester City. 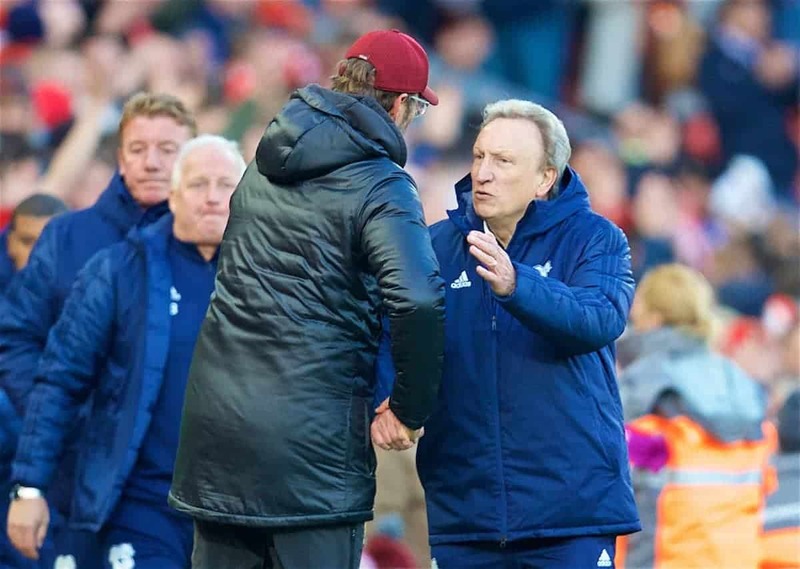 Few expect anything other than a Liverpool win at the Cardiff City Stadium on Sunday, but Klopp recognises the challenge of facing Neil Warnock’s side has changed in the last week. A 2-0 victory at Brighton on Tuesday has put Cardiff back within two points of safety and gave them a new lease of life in the survival battle. “Neil (Warnock) and Cardiff have gained a lot of confidence in the last game and rightly so,” Klopp said. “It was a massive game against Brighton, if Cardiff had lost that game then the fight for the league would be finished but now it starts again for all the teams. On Wednesday, Liverpool soaked up considerable first-half pressure from Porto before picking them off in the counter-attack in the second half, but Warnock’s physical side will present an entirely different challenge. 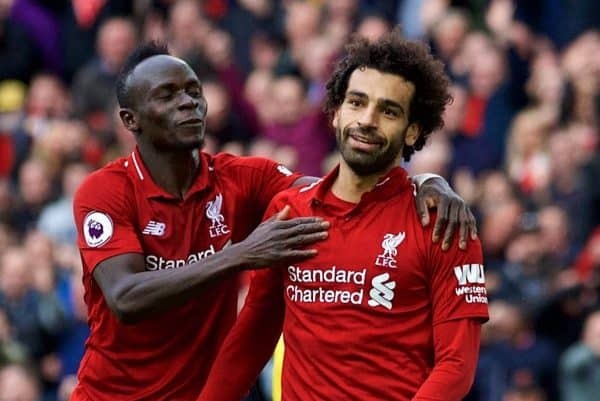 Mohamed Salah once again played a starring role in Wednesday’s win, teeing up Sadio Mane for the opener and then scoring the second. It came on the day that Time magazine listed the Egyptian in their top 100 most influential people in the world, and Klopp said Liverpool were lucky to have him. “He is a role model in so many different ways,” he said. “It’s really, really nice to have him, not only him but Sadio as well. They are both Muslims and they live that in a world where these things are so often discussed in a dangerous manner, where we think they are all like this or all like that. “We know it’s not true but it’s nice to have someone around who is full of joy, full of love doing what he’s doing. 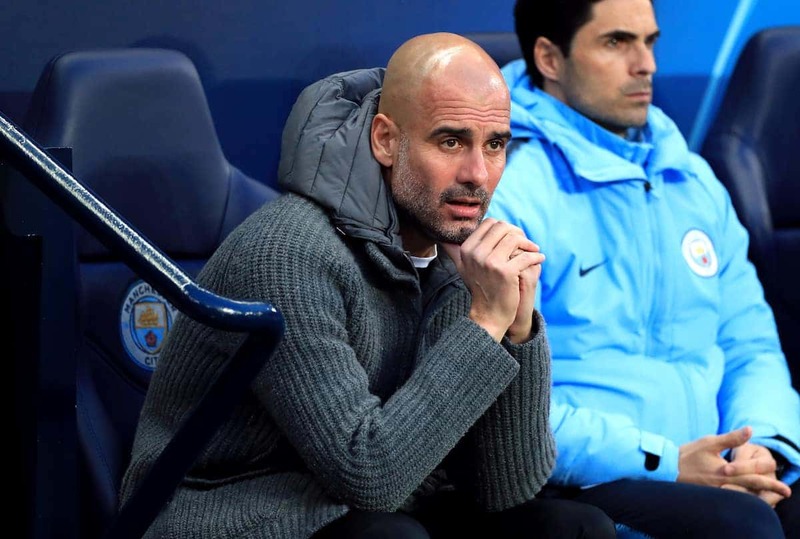 While Liverpool were cruising to a 4-1 win in Porto, title rivals City suffered a dramatic exit from the Champions League when a stoppage-time goal in a remarkable 4-3 epic against Tottenham was ruled out by VAR. Klopp said he could not know if the game would affect City either positively or negatively for the rest of the season, but said he could only feel sympathy for Pep Guardiola’s side. “It was unbelievable, eh? Seeing that I just really felt for them,” he said. “That’s how it is. Everybody thought the ball was in and the whole stadium is celebrating. According to Gazzetta dello Sport, Juventus want Mohamed Salah this summer, partly at the request of a certain Cristiano Ronaldo. The Serie A champions crashed out of the Champions League at the hands of Ajax on Tuesday night, as their search for a first triumph in the competition since 1996 continues. Ronaldo was dejected after the final whistle and he reportedly wants Salah to partner him next season, with Paulo Dybala going the other way. 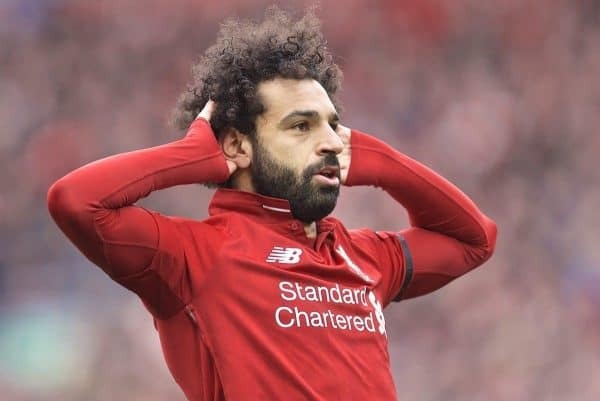 Liverpool will not be selling their Egyptian King at any price, however, unless he suddenly has a shock change of heart and demands to leave. Why would you want to do that in this current Reds side, though? Liverpool have scored 22 goals in their last eight matches, winning every game since the goalless draw away to Everton on March 3. “The beauty with the front three is if one of them has a bad game, the other two are there. It was always key not to be too dependent on Salah, Mane and Firmino and others are starting to contribute more as the season reaches its conclusion, both in terms of goals and assists. Cardiff will be fighting for their lives on Sunday, as they look to pull off an unlikely relegation escape act. Neil Warnock admits he cannot wait for the game, with the importance of the occasion for both sides plain to see. “We realise the challenge but it’s an amazing game. Everyone’s talking about it. The atmosphere will be fabulous,” Warnock told reporters. “When I arrived at the club and you’d told me we were selling tickets on the black market for £1,000, you’d probably be locked up in a straight jacket. Leeds Interested in Wilson & Kent? 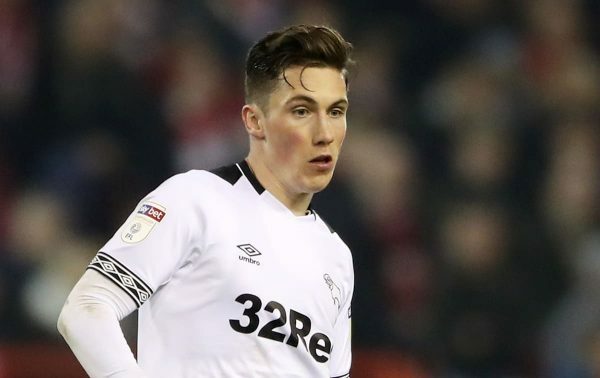 Harry Wilson and Ryan Kent could both be allowed to leave Liverpool at the end of the season, with Klopp reportedly not seeing them as squad members moving forward. The duo have excelled at Derby and Rangers this season, respectively, and will not be without suitors if their time at Anfield does come to an end. According to Football Insider—admittedly not the most concrete of sources—Leeds “have set their sights” on Wilson and Kent, singling them out as players who could thrive if they gain promotion to the Premier League. It sounds like an ideal move for both, allowing them likely regular football in the top flight. Liverpool were linked with a move for Lille winger Nicolas Pepe earlier in the week, although the reports weren’t entirely credible. Now, however, the more reliable Le 10 Sport have confirmed the Reds’ interest in the 23-year-old, who has excelled in Ligue 1 this season. Pepe has scored 19 goals in 33 just appearances, leading to a host of top European clubs being linked with his signature. He would add much-needed depth out wide should a move come to fruition, affording the likes of Salah and Mane a little more rest. 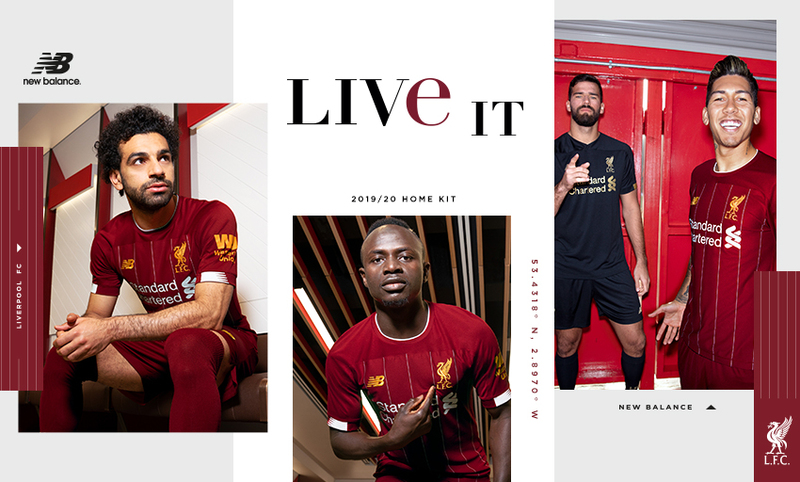 Liverpool’s 2019/20 kit was unveiled earlier in the week, with supporters giving it positive reviews. Alisson‘s goalkeeper strip was particularly popular and it has already sold out, despite only being on sale for 24 hours. The Brazilian will take the No.1 jersey from Simon Mignolet from next season onwards, with the Belgian set to leave Liverpool this summer. Enjoy the quarter-final triumph all over again, with moments you didn't see, in our special Inside Porto compilation above. Dejan Lovren is expected to return to the group after missing the midweek Champions League win over Porto through illness. Oxlade-Chamberlain is also training with the senior squad again following his long-term knee injury. Harry Arter, who missed Tuesday's 2-0 win at Brighton with a calf strain, will be absent again but Cardiff hope the Republic of Ireland midfielder will be back for next weekend's trip to Fulham. Aron Gunnarsson faces a late check after being forced off at Brighton with a back spasm, and fellow midfielder Leandro Bacuna stands by to replace the Iceland international following his impressive midweek second-half performance. A Liverpool victory would see Cardiff become the sixth side the Reds will have beaten in each of their first four Premier League meetings after QPR, West Brom, Wigan, Burnley and Brighton. Liverpool have won each of their last nine Premier League matches against newly promoted sides, scoring 27 goals and conceding just three. The Reds have never won 10 successive such matches in the competition. Cardiff have picked up just two points from their 22 Premier League games against the six ever-present sides in the competition (W0 D2 L20), losing their last 18 in a row against Arsenal, Chelsea, Everton, Liverpool, Man Utd and Spurs. No team has played more English league games on Easter Sunday than Liverpool (7), with the Reds' only defeat on that day coming in 2008 (0-3 vs Man Utd). Cardiff have conceded 5+ goals in three different home league games this season - no side has ever conceded as many in more different home matches in a single Premier League campaign (Derby also 3 in 2007-08). Cardiff's Victor Camarasa has scored in his last two home Premier League games, as many as he had in his first 12 at the Cardiff City Stadium in the competition. Sadio Mane has scored 10 goals in his last 12 Premier League games for Liverpool - coming into this round of matches, no player has scored more Premier League goals in 2019 than the Senegalese forward (10, same as Sergio Aguero). This will be a battle for Liverpool, make no mistake about it. That was a huge football match for Cardiff to win the other night at Brighton, and they will be fighting for every single minute. It did not look like they were going to get there, but they have done so well to get to this point. Liverpool, though, are on fire. They will take some stopping and just have too much quality for Cardiff. Should Cardiff score it will make things interesting, but I just cannot see it happening.